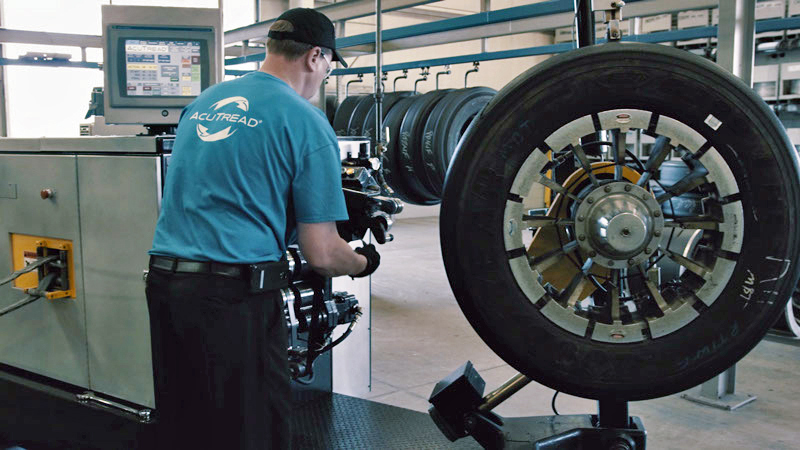 Trained AcuTread® Inspection Technicians look for specific tire conditions that either qualify or disqualify the casings for the possibility of retread. 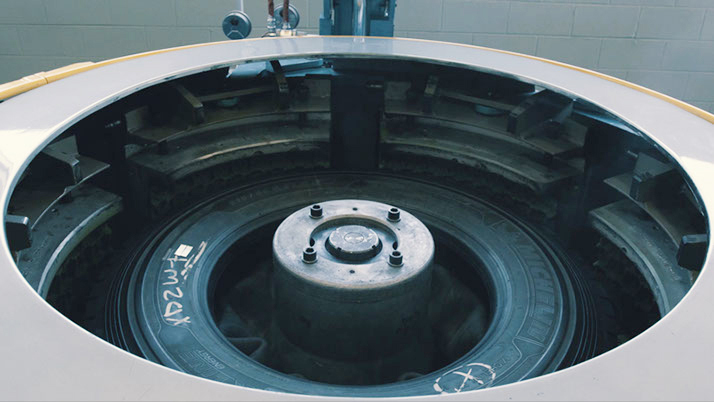 The casing is checked for micro-porosity and injuries; when detected, they are repaired using a 2-piece cured repair system. 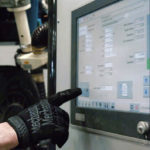 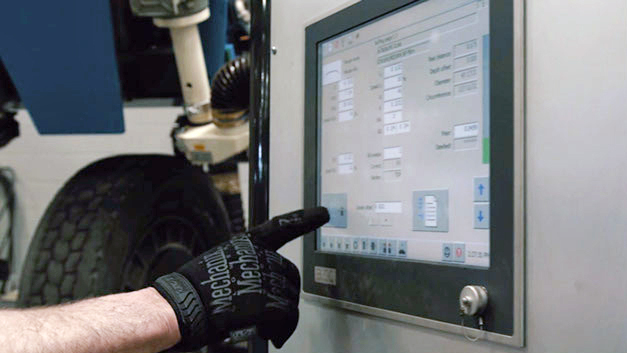 AcuTread® Computerized Buffing is specific to each type of casing. 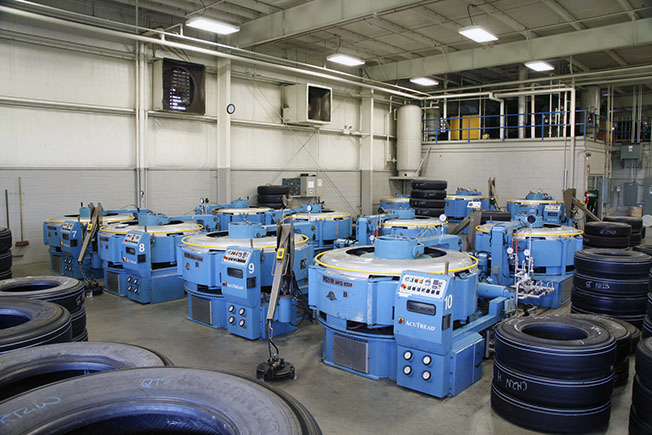 The precision of this machine provides a tolerance within 1/32″ in diameter. 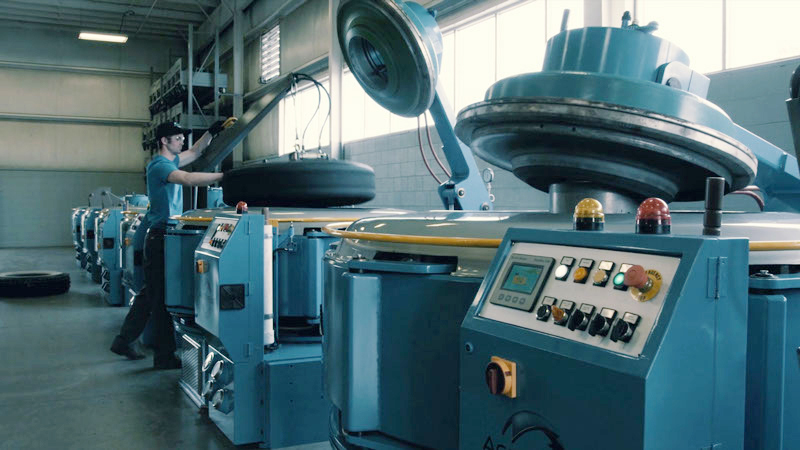 This results in one of the most uniform and consistent finished products on the market today! 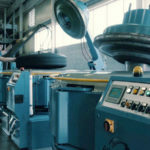 A thin layer of high-tack, uncured cushion rubber is applied to the buffed casing. 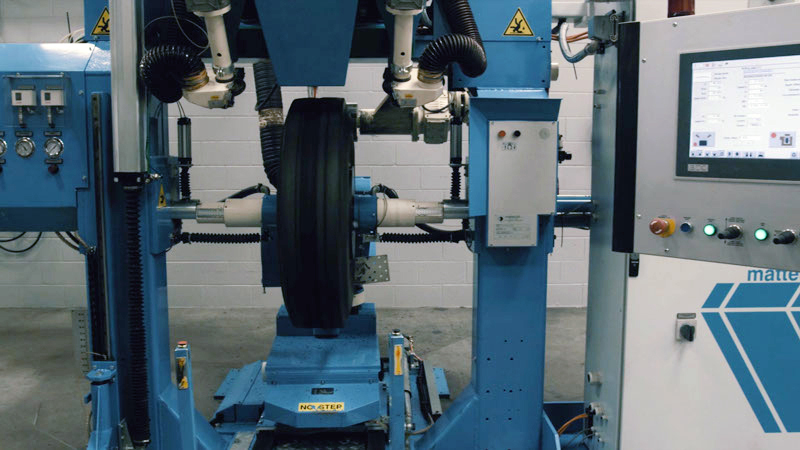 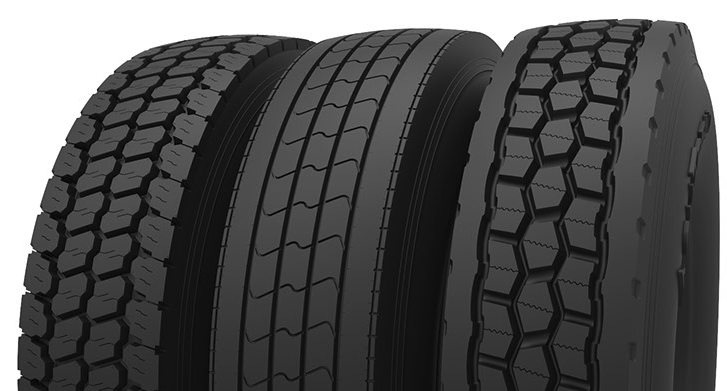 An exact specified width and depth automatically fills buzz-outs in the tread area. 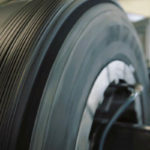 This thin layer of rubber becomes the base for the extruded tread rubber, promoting tread-to-casing adhesion values that rival that of new tires. 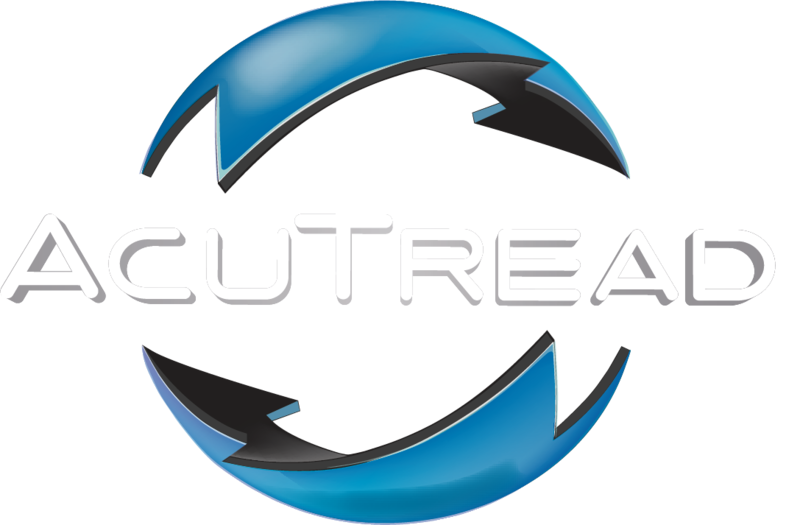 AcuTread® Precision Rubber Application uses a new digitally controlled extruder that applies a continuous splice-free strip. 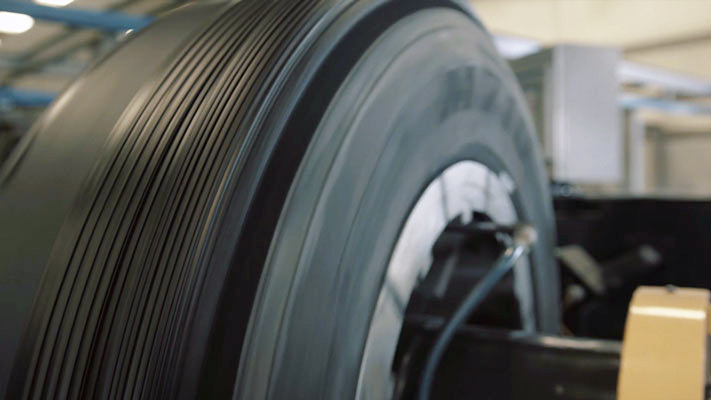 Matched tire diameters result in even loading, a smooth ride, even wear, lower cost per mile and improved fuel efficiency. 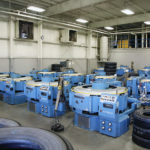 AcuTread® Tread Molding and Curing Technology uses segmented curing presses with three heat zones to ensure minimal heat exposure to the casings while in the presses. 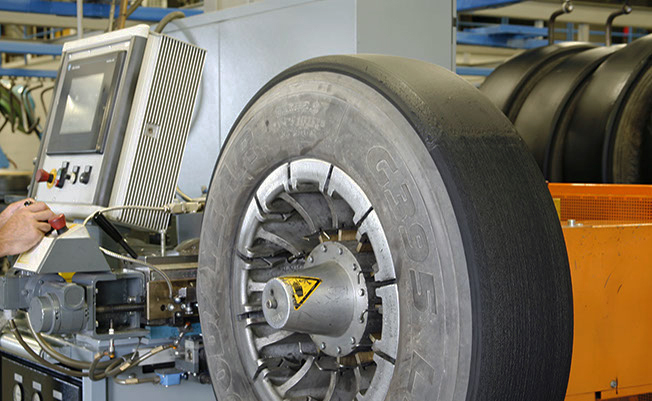 AcuTread® Molding uses high internal air pressure which results in superior adhesion values. 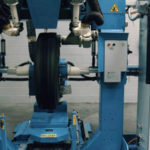 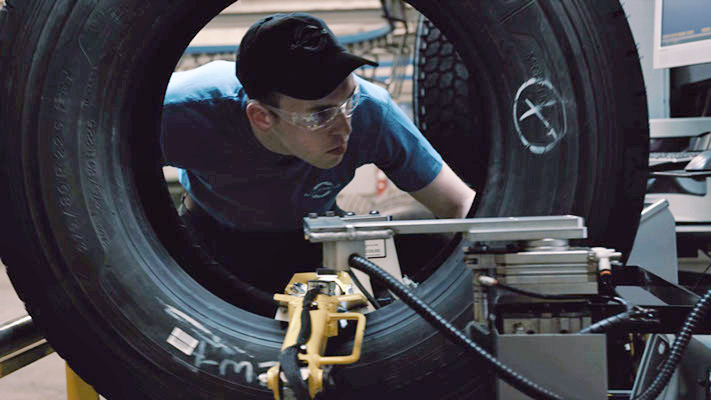 After the molding and curing process there is a very thorough final inspection of the retreaded tire to ensure that the quality of the final product is at an unrivaled level. 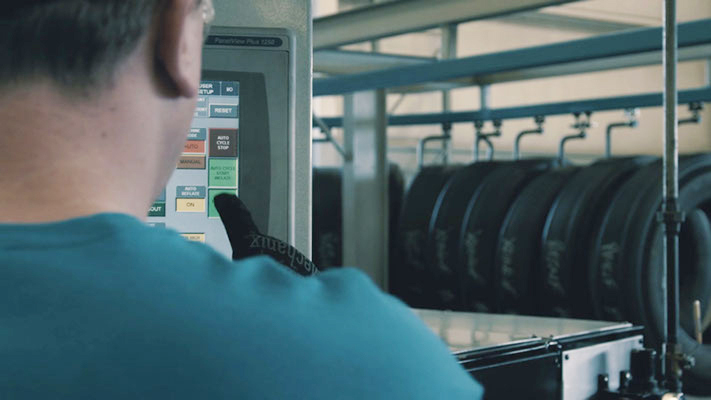 AcuTread® Technology uses a computerized bar coding system to facilitate easy tracking and reporting for our customers. 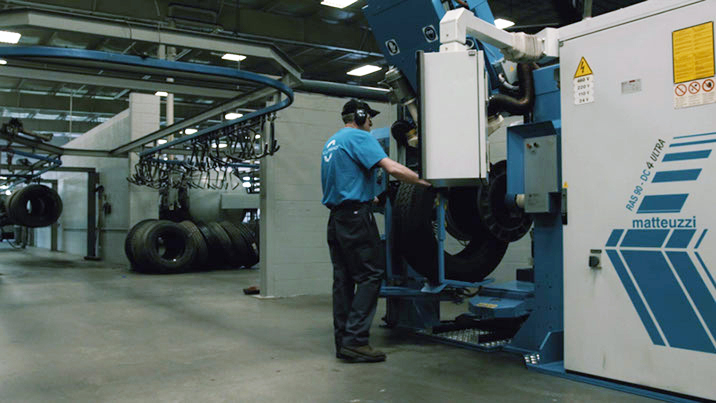 This technology gives our clients the peace of mind in knowing their same tires will always be given back to them.